Lisa Jenson : When was the first time you thought about to become tattoo artist? 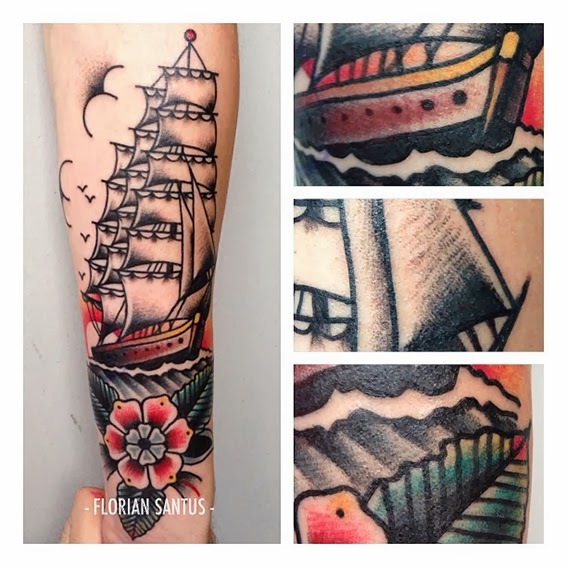 Florian Santus : I first started to collect tattoos in 2010 from artists around the world. ... I think it has been really important for me to realize that you can have a true exchange with people you have never known before. There is an amazing trust that you can't find in any other job. I think it's something rare and precious nowadays. I have always drawn as long as I can remember and I spent my childhood in my grand-father's workplace, he was a wood-crafstmen. I have always been passionate about craft and technically nothing has changed since the invention of the first tattoo machine in 1891. I consider tattooing both art and a craft : handmade work where you can put your own vision and style in each creation. Being a craftsmen is a good way to keep both our feet on the ground. 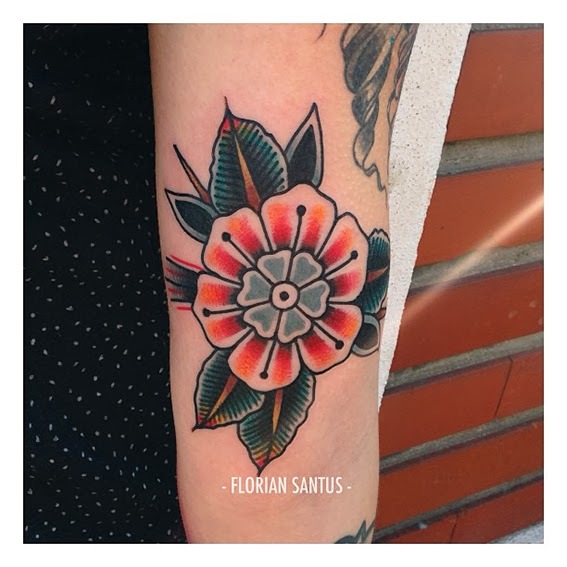 A little more than a year and a half ago I decided to learn tattooing, so I started an apprenticeship, but I left the place four months later for many reasons. Then I "started" tattooing alone at home. L. J. : I know you've been busy with your studies, so now - congratulations to your graduation! Whats your specialization? 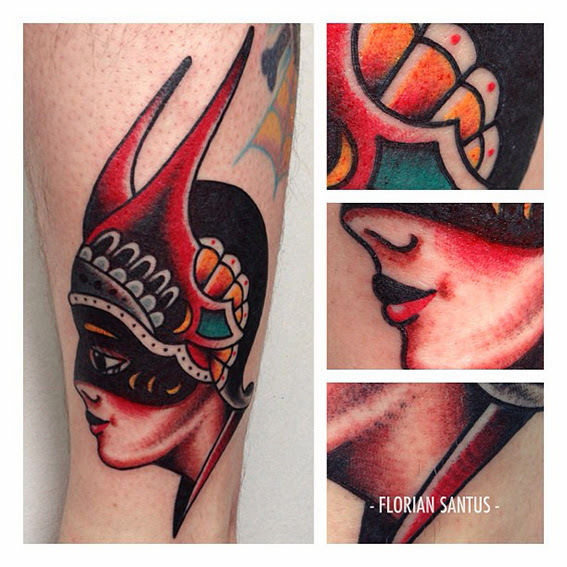 Florian Santus : The last two years I earned a MA in art and design. I have taken the time to read many books on psychology, philosophy and sociology. It was really important for me to understand what tattooing means in society today. My studies were a highlight for what I want to do. L. J. : Do you think education is important in life? Florian Santus : I think education could have several meanings. Education is important to life in society, be respectful and communicate with one another. Education as culture is important to understand what you want to do and why. Culture in its broadest sense appears to be a need to develop a critical sense . 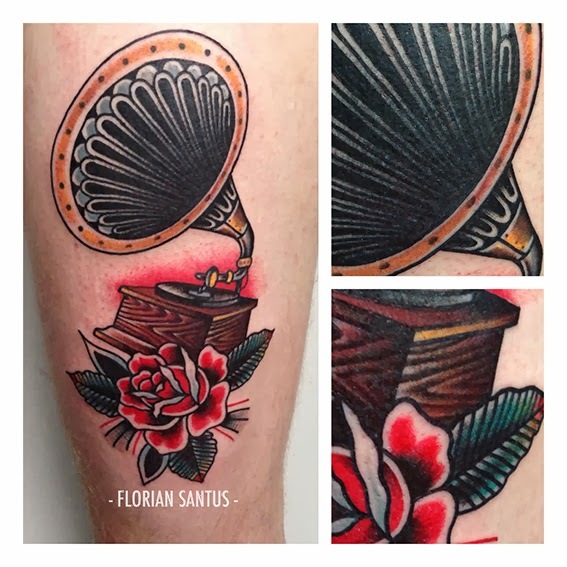 Florian Santus : Honestly "trendy" tattoos make your customer happy and your wallet as well. ahah. I still think that when people copy your designs it's nothing but a copy. But I haven't been in the tattoo business long enough to have a right opinion. 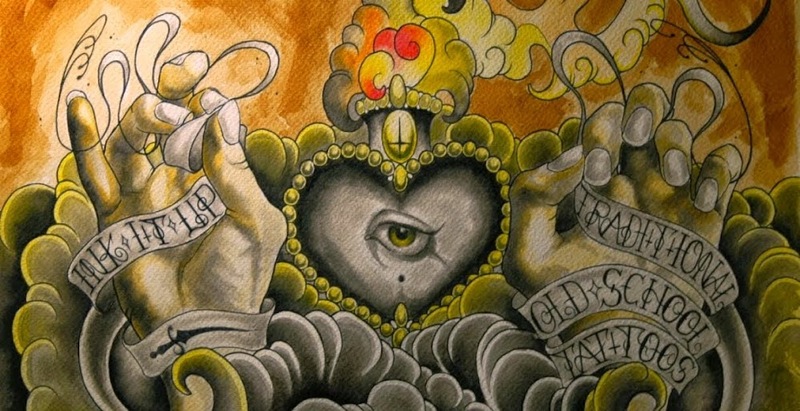 I think the popularity of tattooing has allowed the new generation of tattoo artists to have their unique approach in the business. 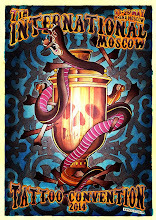 L. J. : Do you participate in tattoo conventions? 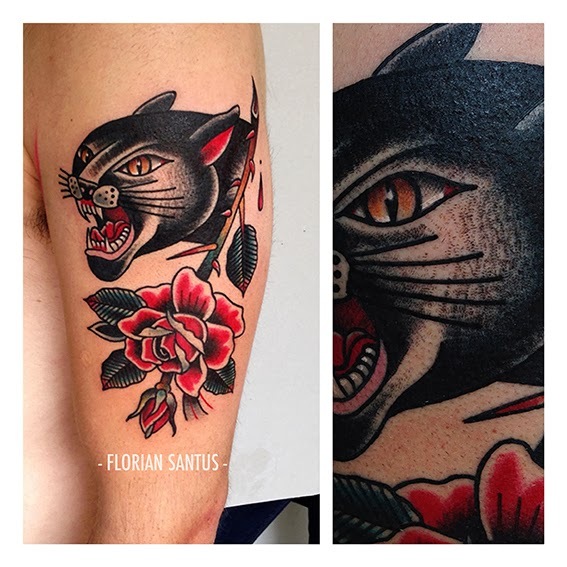 Florian Santus : Yeah! I did my first one three weeks ago, the Montreuil Tattoo convention near Paris, I was really busy, it was a great experience. Next week I will work at the Eindhoven convention ! I also have many conventions and guestspots scheduled for 2014! It will be a great year! L. J. : What you think about walk-in tattoos? As a tattooer you draw designs you would love to do. And the customers choose the ones they like. I think it's cool because most of the time customers don't have a precise idea of what they want and sometimes their idea is not "tattooable". Walk-ins and pre-drawn designs are really helpful for them. Moreover if you travel, walk-ins are the best way to bring back a souvenir. 1 million views on this blog! !